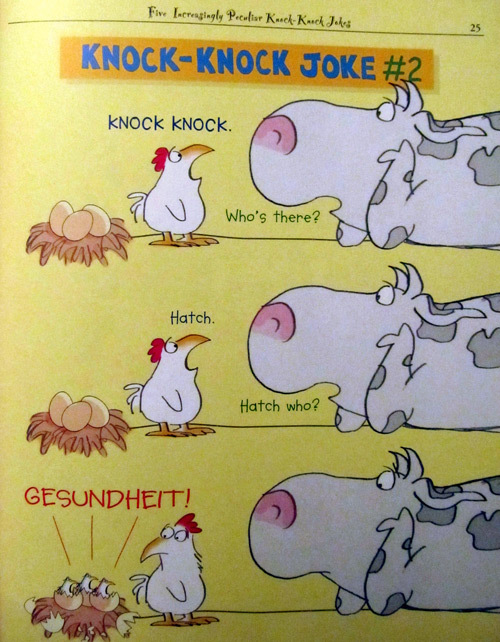 It’s another knock-knock cow joke! Let’s have a little dose of humor for this Monday. Below is my kids’ favorite knock-knock joke. I hear it every day, several times a day and they can’t seem to get enough of it (but I have!). 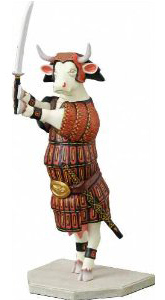 It is pretty cute so I thought I would share it with you. 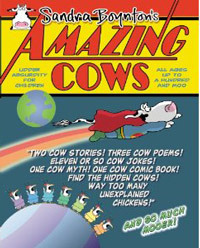 It’s from Sandra Boynton’s book called Amazing Cows: Udder Absurdity for Children. Enjoy!